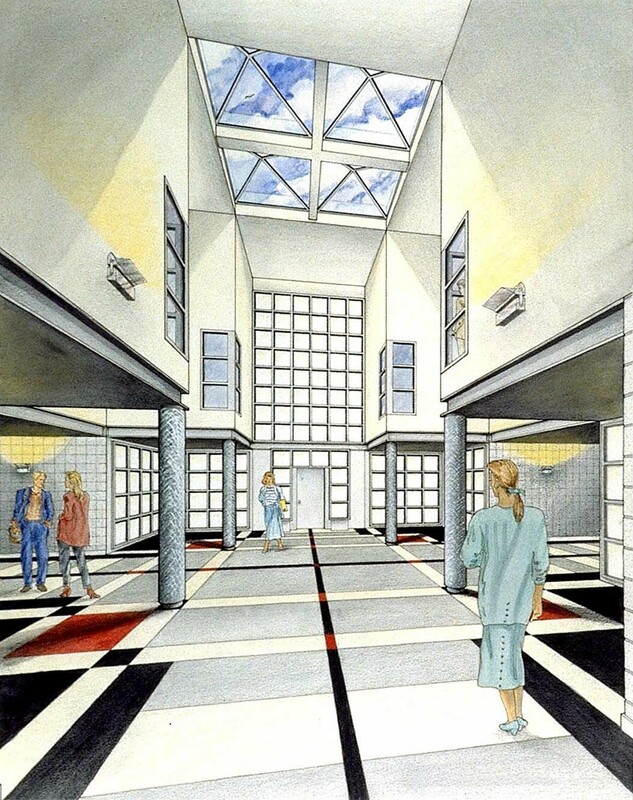 Randal was commission by a real estate development company in Chicago called Loft, to illustrate the lobby of an industrial building being converted to residential “loft” condos in the 1980’s. 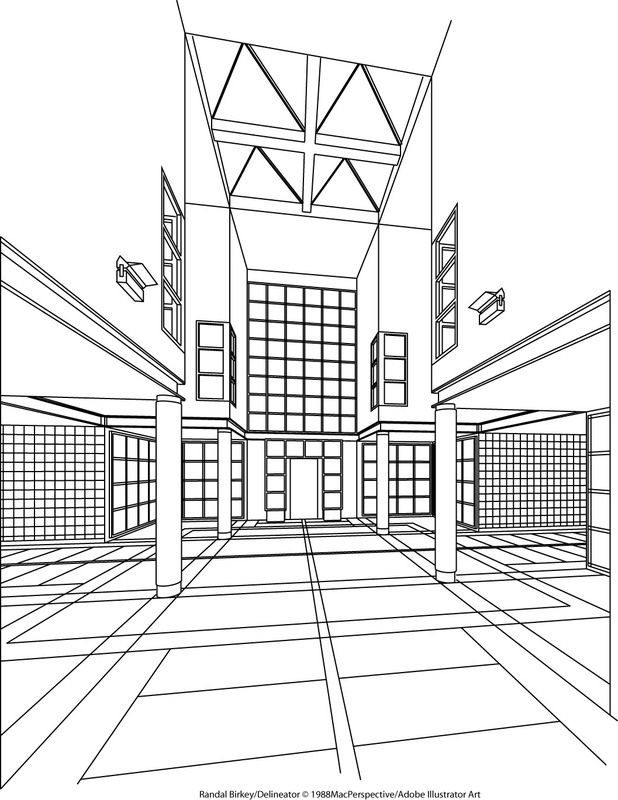 There was no way to take reference photos of the site, so Randal worked from architectural blueprints to construct a 3D wireframe model of the interior space. The 3D model can then be rotated and manipulated in 3 dimensions until a final view was determined. Here is the final approved viewpoint the final illustration was based upon. Once the viewpoint is established, Randal transfers the line work to a 2D rendering software such as Painter or Photoshop, and completes the illustration as a flat 2D digital file. Any style of art is possible, this one being a combination of watercolor, line and pencil techniques.